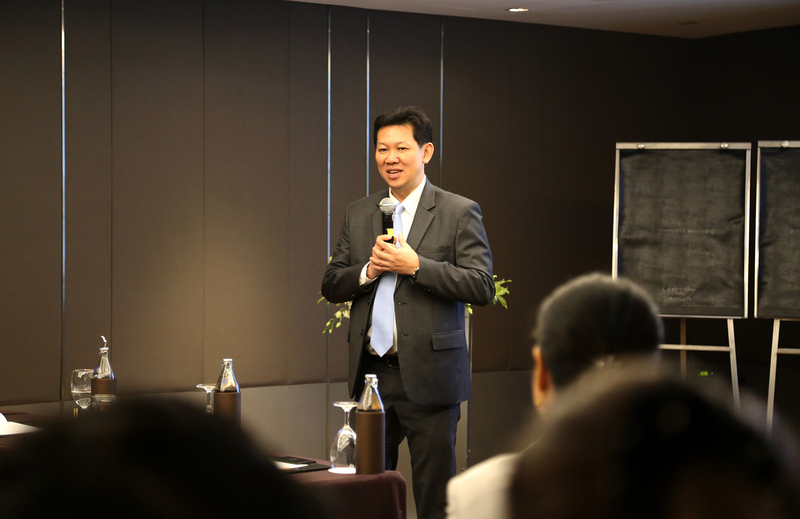 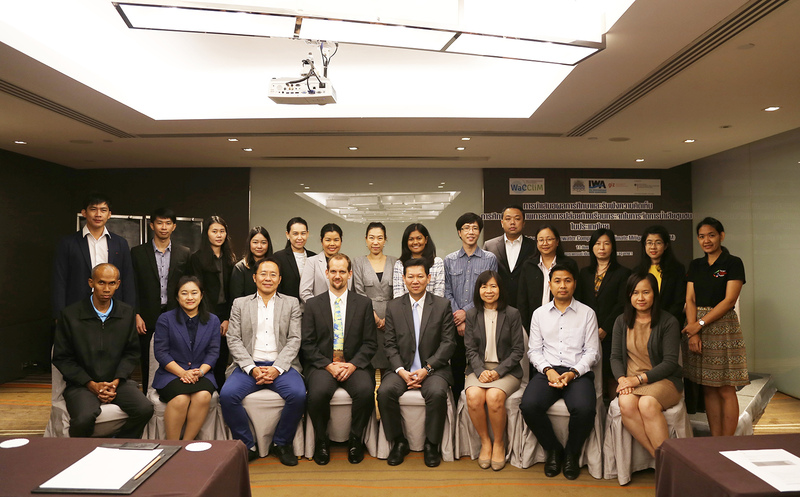 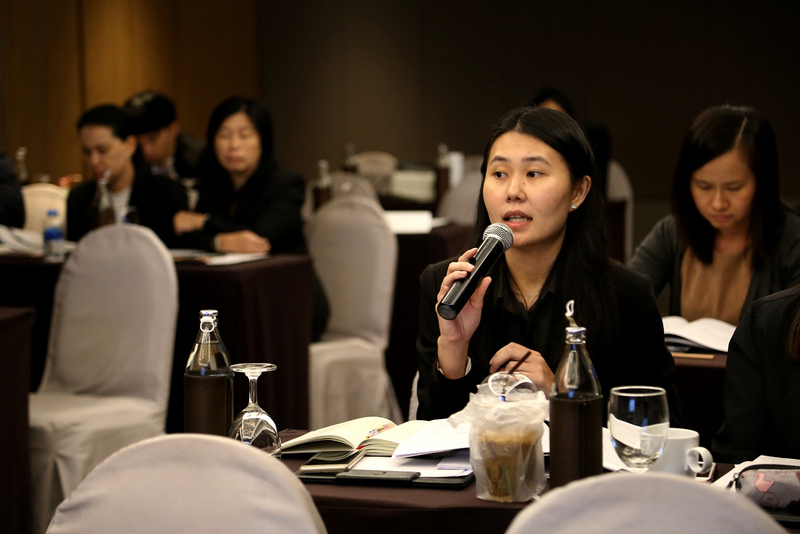 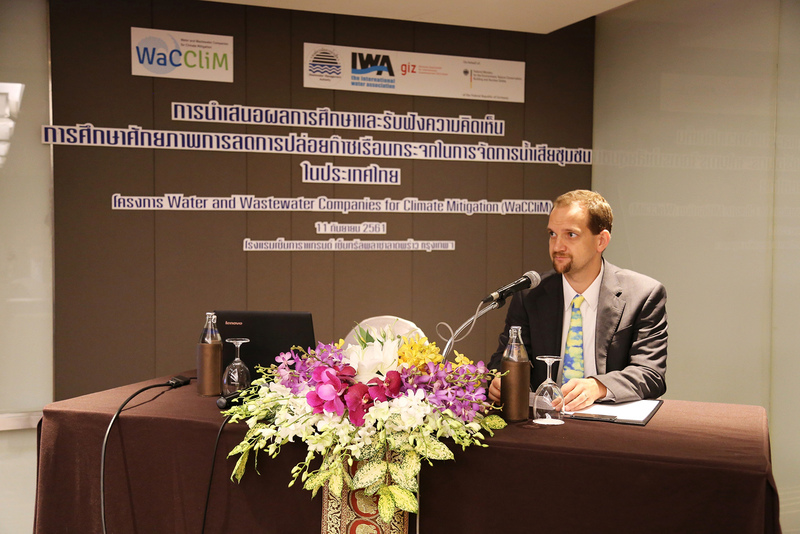 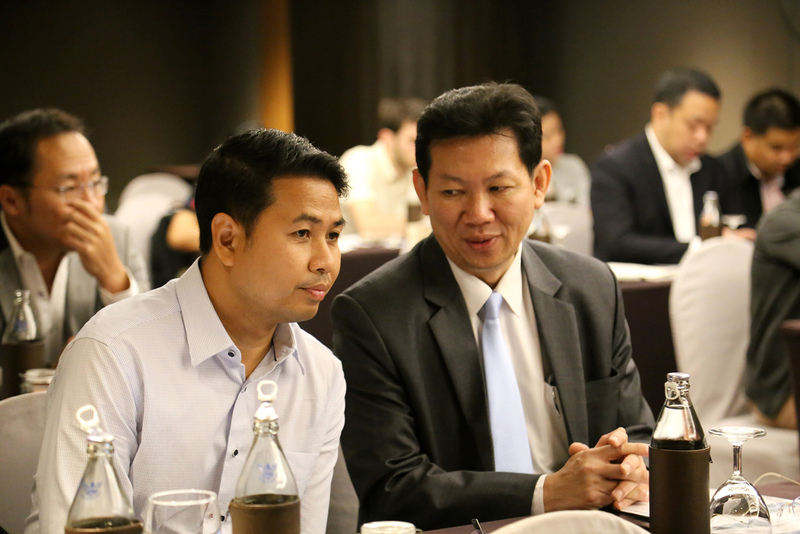 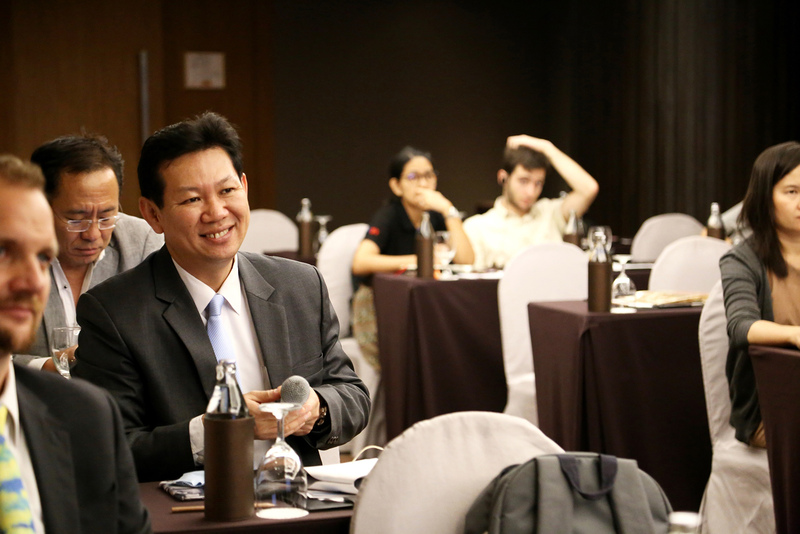 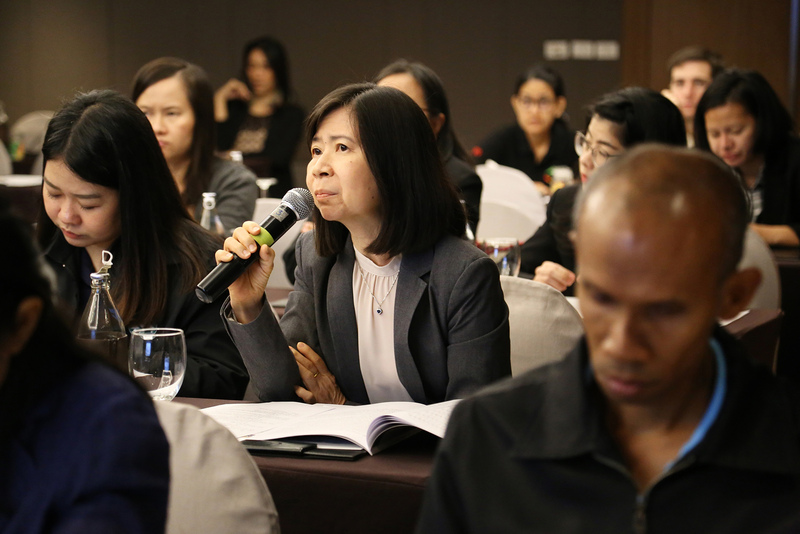 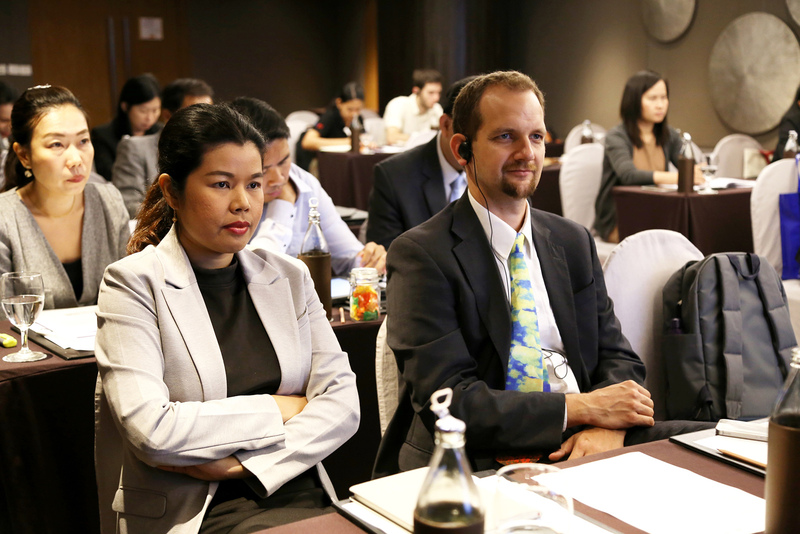 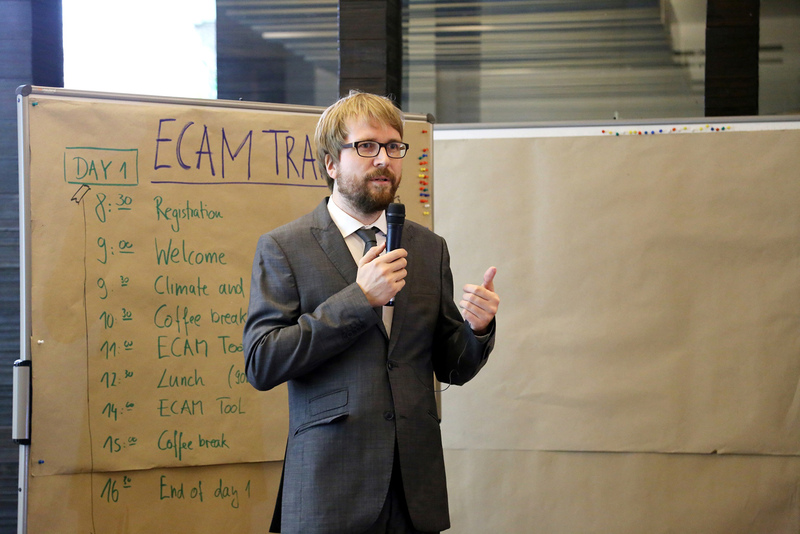 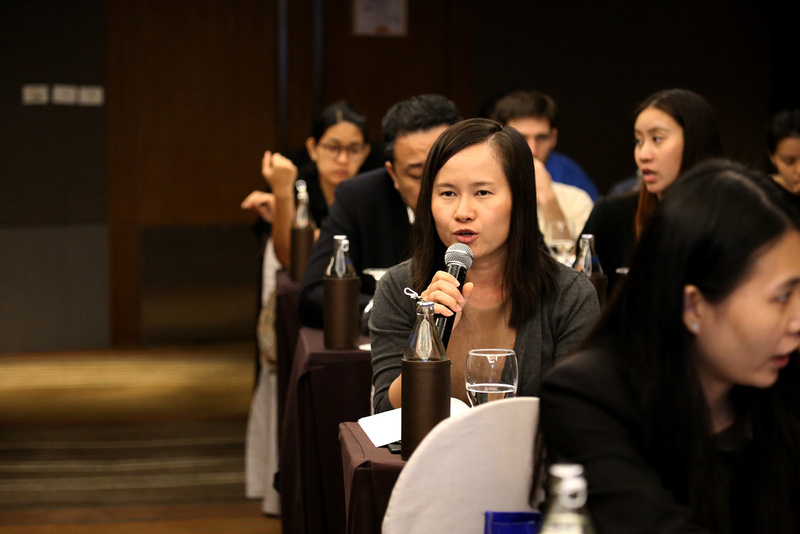 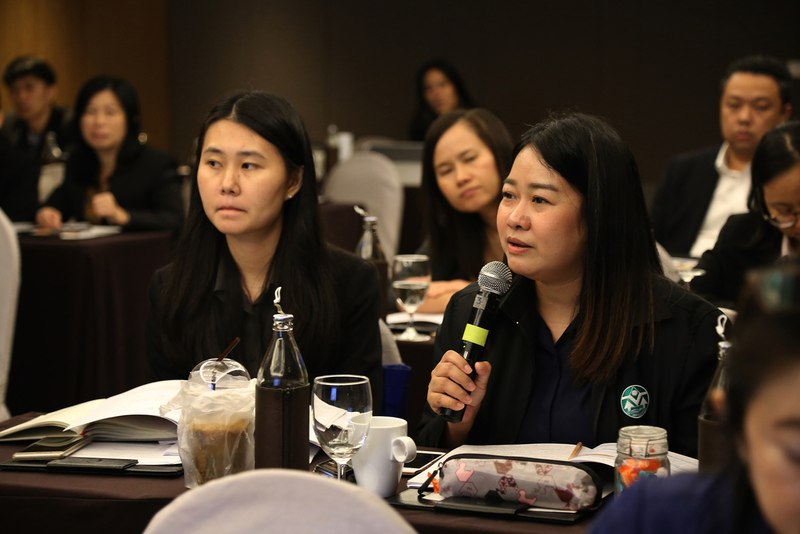 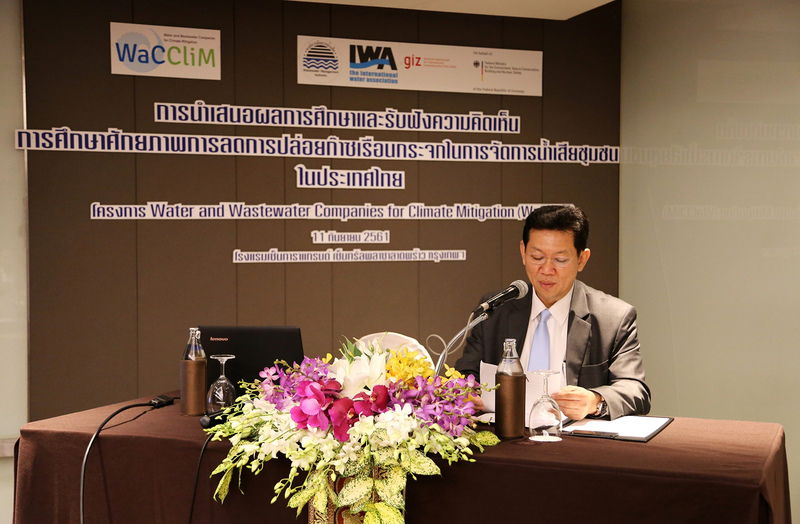 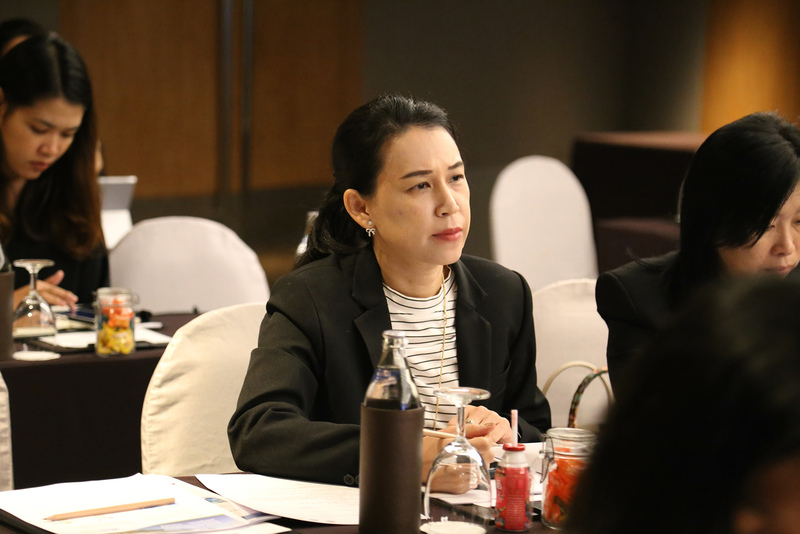 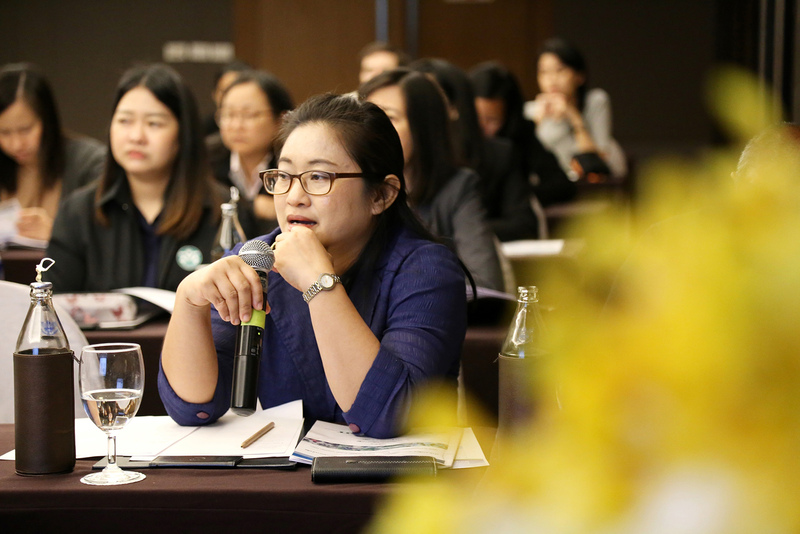 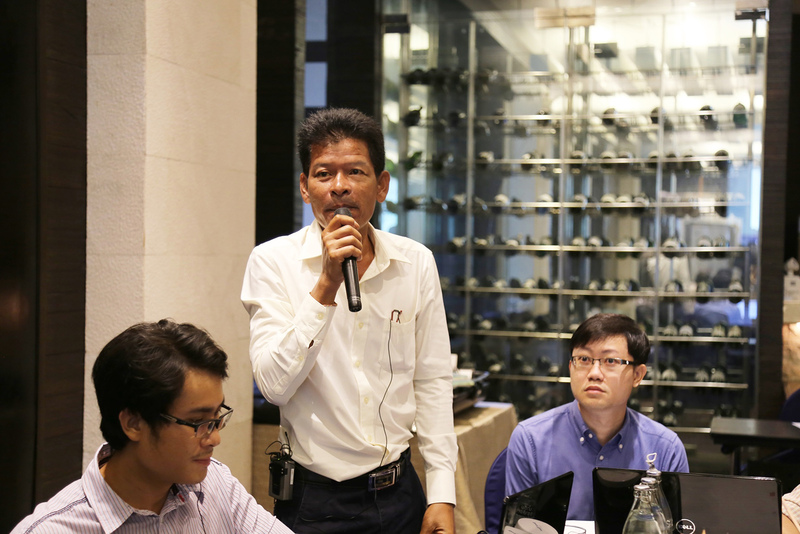 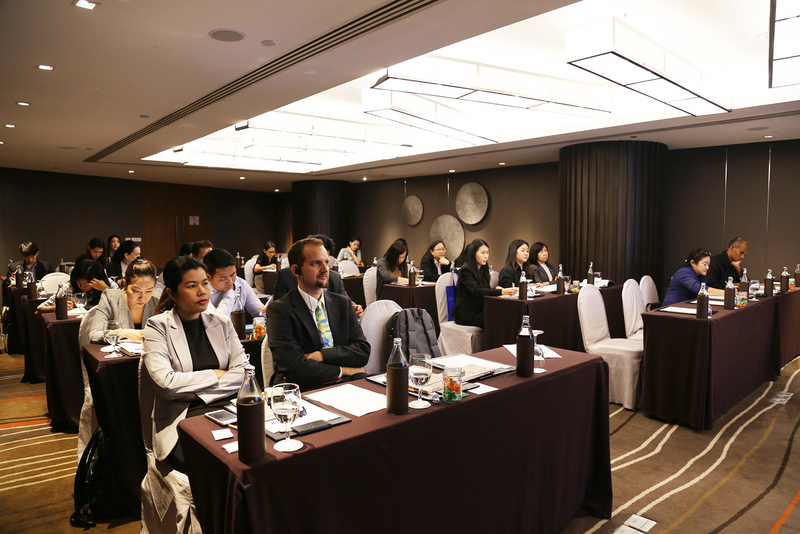 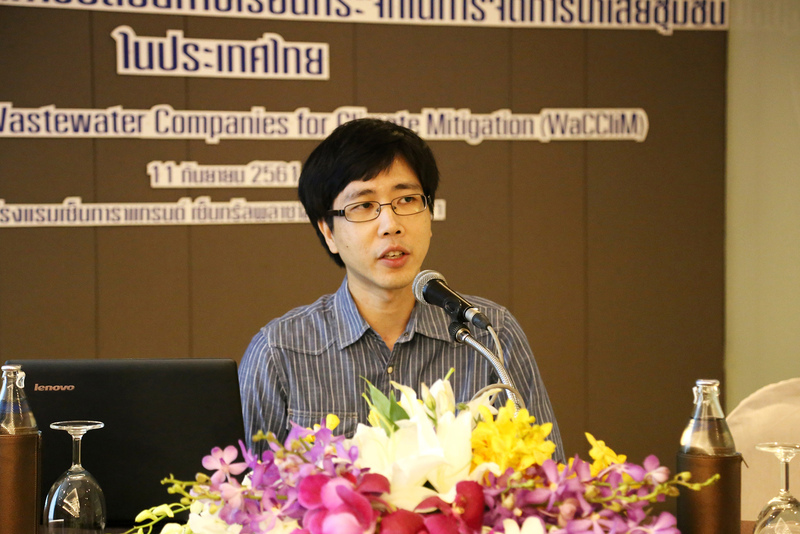 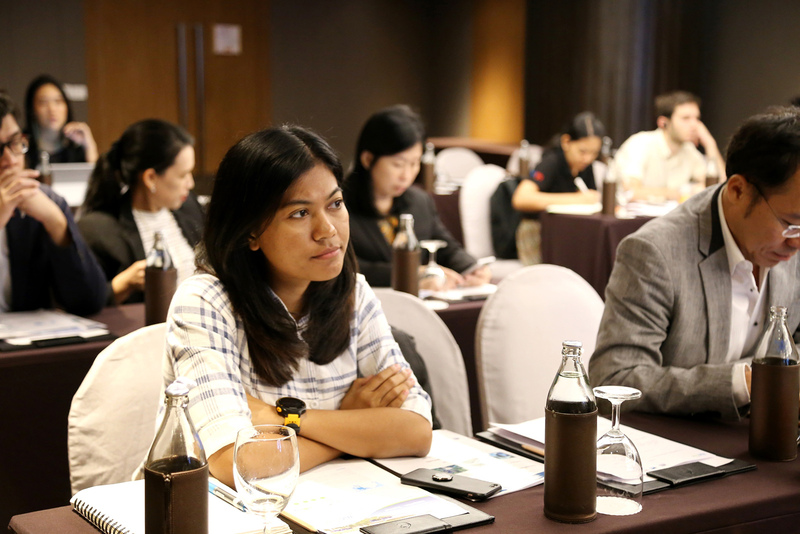 On September 11, 2018, the Water and Wastewater Companies for Climate Mitigation Thailand (WaCCliM) project held a meeting at the Centara Grand Hotel Central Plaza Ladprao, Bangkok to discuss the feasibility study on potential climate change mitigation target in Thailand’s domestic wastewater sector. 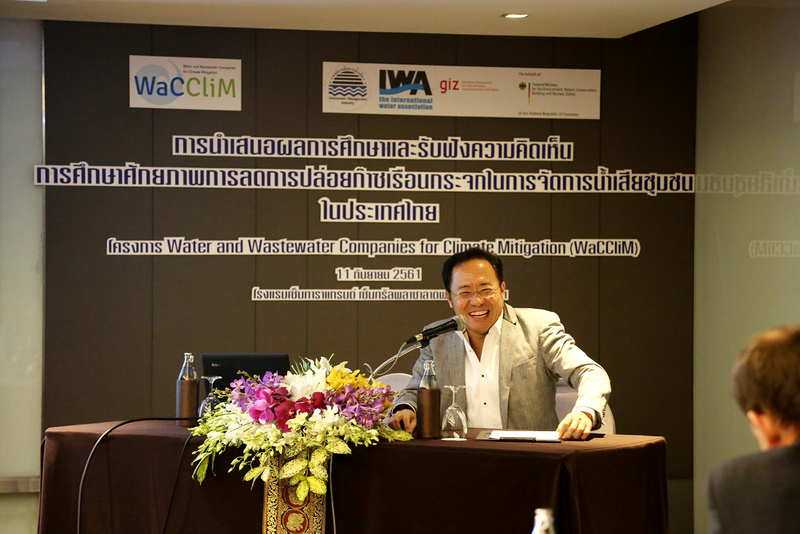 Mr. Chira Wongburana, Acting Director General of the Wastewater Management Authority (WMA) and Mr. Soeren Rued, Project Director of WaCCliM presided over the event. 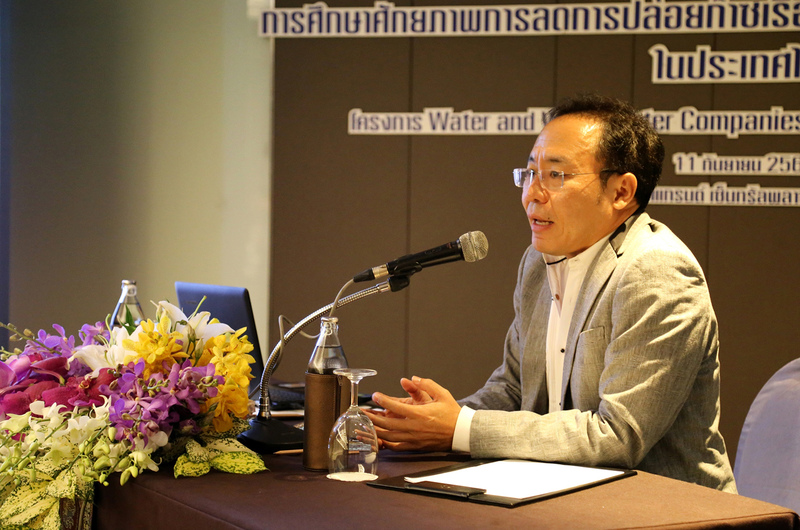 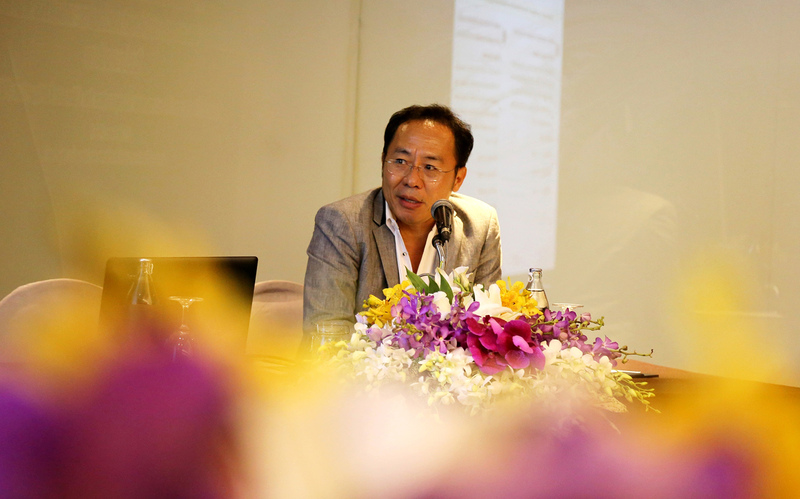 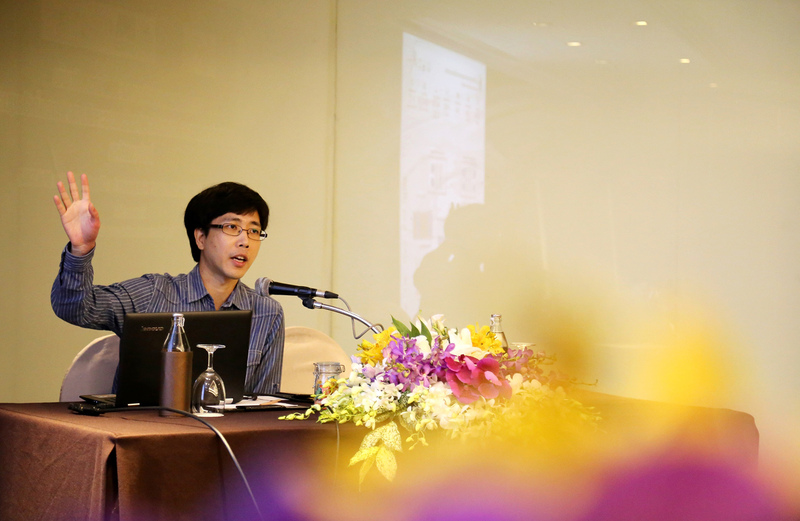 Prof. Dr. Thammarat Koottatep from the Department of Energy (Water and Wastewater Engineering) of the Asian Institute of Technology (AIT) presented the results of the study on the potential of Greenhouse Gas mitigation in domestic wastewater management in Thailand. 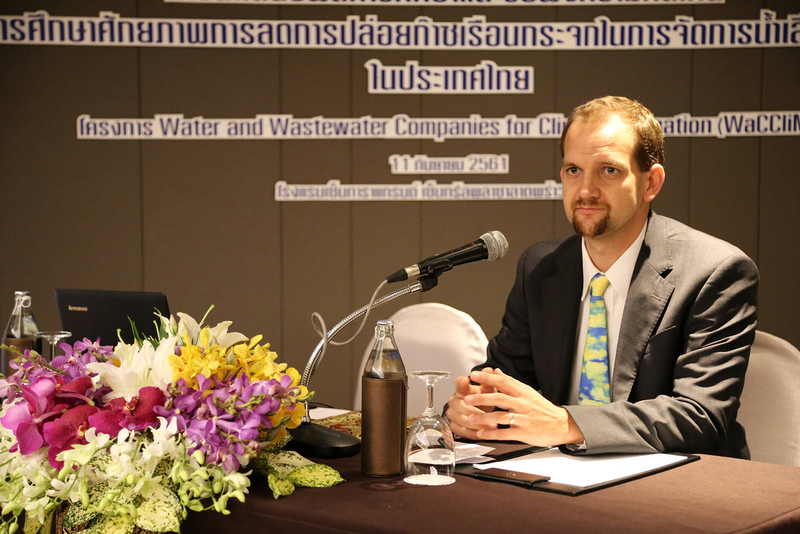 The WMA’s study and the evaluation of data collected from domestic wastewater management indicated that the domestic wastewater management sector has the potential to reduce Greenhouse Gas emissions by up to 0.8 million tons of carbon dioxide equivalent in 2030, assuming that 92 community water treatment systems are operated efficiently across the country. 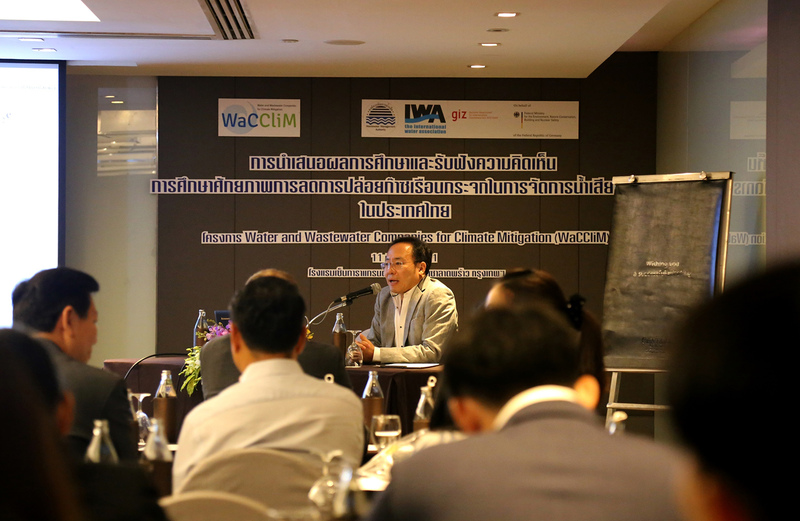 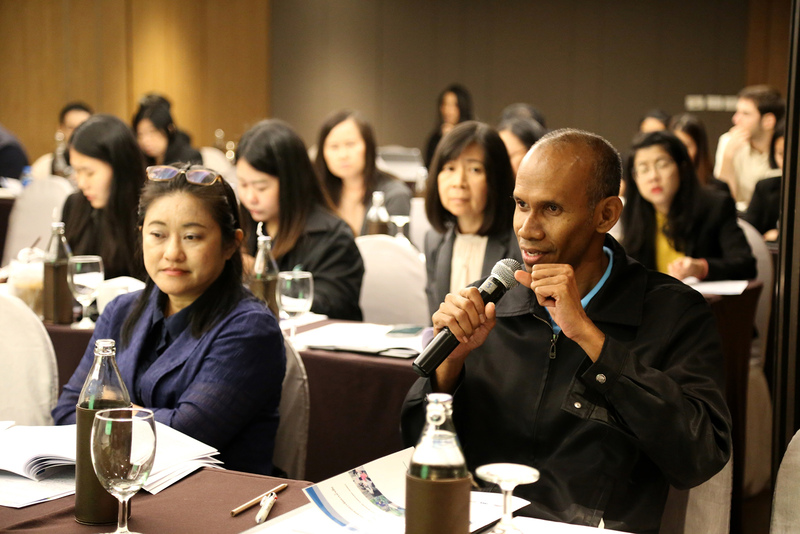 The meeting also provided opportunities for the participants from WMA, the Office of Natural Resources and Environmental Policy and Planning (ONEP), the Pollution Control Department (PCD) and the Department of Industrial Works (DIW) to share their opinions on the study results. 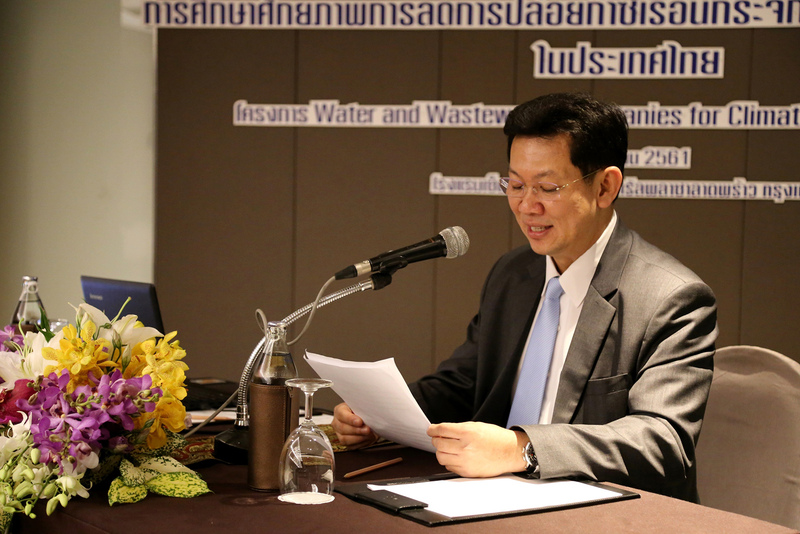 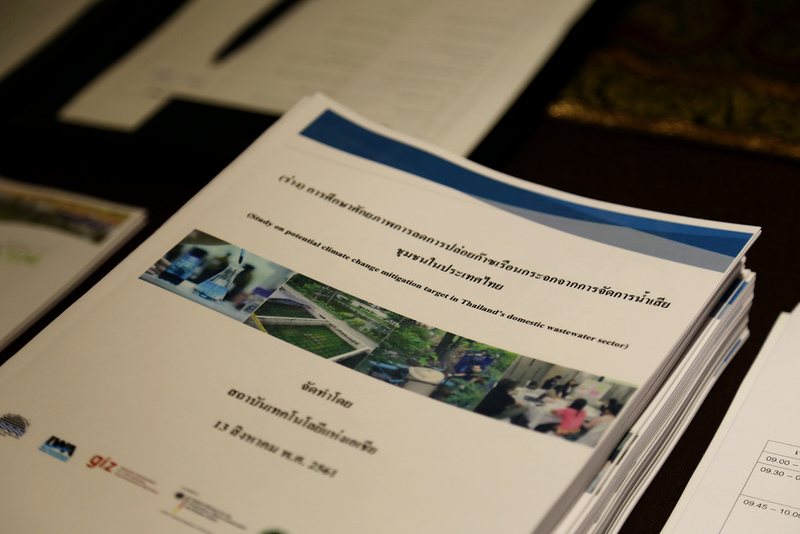 These will be used in the setting of a Greenhouse Gas mitigation plan in Thai wastewater management in the future.